Rafe McCawley and Danny Walker are friends who grew up together in Tennessee and always wanted to be pilots. They join the air force together at the same time. It is unfortunately, right before World War II breaks out in Europe. 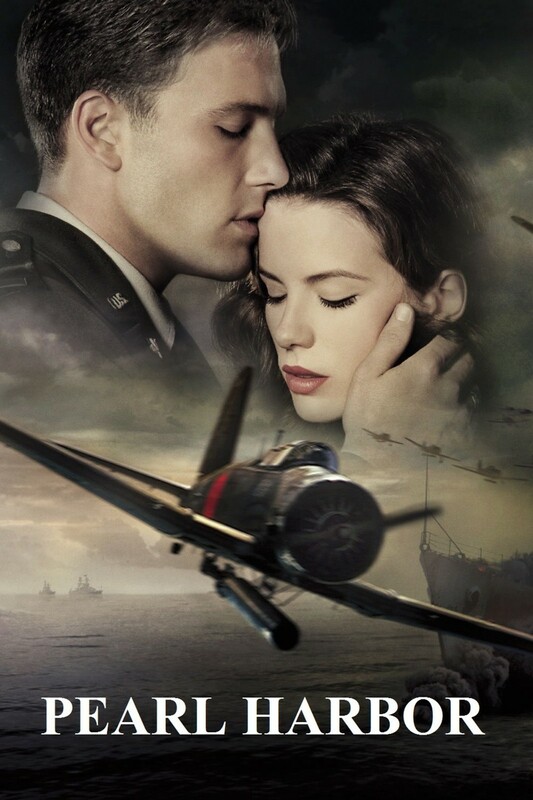 Rafe meets a girl named Evelyn Johnson and they begin dating for a short while before he enlists to fight in the war. His plane goes down in a battle and he is assumed dead. Danny starts to have feelings for Evelyn about three months after Rafe is presumed dead and he pursues a relationship with her. However, Rafe is in fact not dead and returns the day after Danny and Evelyn have consummated their relationship. Danny and Rafe get into a fight, but they do not have time to focus on this conflict, since the Japanese attack Pearl Harbor, where they are stationed, shortly after. Danny ends up dying in the attack and Rafe and Evelyn eventually get together again.